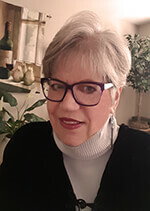 Hi, I’m Barb and I operate this blog offering friends and readers my favorite food dishes and homemade cocktails. I live in a suburb of Denver, CO and feel blessed everyday to have landed in this beautiful state. I love having friends over, enjoying their company and sharing food and drink together. Part of the fun is the preparation, whether it be planning and cooking the meal, decorating my home or making sure my garden is groomed during the summer and I love doing it all. Yes, I do have friends that call me Martha! I started a web development business in 1995 and the first website I created was for recipes. For many years that site was simply a repository of recipes I loved and served as an online tool for my ease and that of family and friends. In 2014 I decided to sell my web business and blog full time sharing this hobby that is also my passion. A friend of mine gave me the book Secrets from a Caterer’s Kitchen as a gift many years ago when she thought of me with this line; it’s the perfect portrayal. I simply love to have people in my home and kitchen and offer them something good to eat or drink. My hope is that you will find this space fun and inviting and of course filled with delicious recipes, luscious cocktails and beautiful photography (a newer passion but one I also love)! If you have specific questions, would like to discuss working together or just want to say hi, please contact me via email.